The National Cherry Blossom Festival in Washington DC includes more than 200 special events and performances each year. The festival brings people together to participate in a wide range of fun activities, celebrating the season and Japanese culture. This is a curated guide to the best events of the season (rather than overwhelming you with all of them). 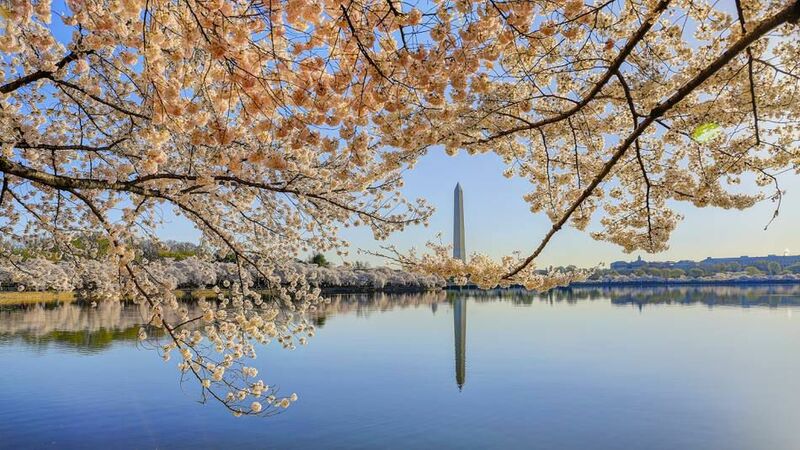 For more information about visiting Washington DC and an overall guide to things to do throughout the cherry blossom season, see the Best of the 2017 Cherry Blossom Festival in Washington DC. Peak Bloom Period : 2019 Dates to Be Announced. These are the prime dates to visit the Tidal Basin and see the cherry trees in full color. On March 22, kick off spring in D.C. with a stylish soiree at the Ronald Reagan Building and International Trade Center, all decorated in pink. Restaurants from across the city bring cherry-infused dishes to the party. There's a silent auction and dancing too. This fundraiser presented by ANA is ticketed and costs $225 per person. Gear up for the Cherry Blossom Festival with an opening ceremony on March 23 including a variety of live entertainment from Japanese performers. This year's show includes “Pretty Guardian Sailor Moon” The Super Live musical, the Ikuko Kawai Ensemble with violinist and composer Ikuko Kawai, world champion juggler Yusaku Mochizuki, and classical ensemble 6821 Quintet. This event is held at the Warner Theatre at 513 13th Street, NW from 5 to 6:30 p.m. Advanced free tickets are required, click here to get them. Premium seating is available with a $15 donation. In the past, the popular Washington D.C.’s Japanese Film Festival has screened short films from up-and-coming Japanese directors, actors, and screenwriters — along with recent Japanese romantic comedies, documentaries, dramas, animated features, and more films. An all-day festival ends with a bang with fireworks over D.C.'s new The Wharf mixed-used development. The new event Petalpalooza is happening on April 6 from noon to 9:30 p.m. with a fireworks display at 8:30 p.m. The waterfront piers will come alive with live music on multiple outdoor stages, activities for kids, and a beer garden. Find kite flying competitions, special demonstrations, and kite making for children, at one of D.C.'s most beloved events. This is all happening on March 30 from 10 a.m. to 4:30 p.m. on the National Mall at Constitution Avenue & 17th Streets. This event is free, and you can bring your own kite or purchase one there — or children can make a kite at an activity station (while supplies last). Head to the National Japanese American Memorial to Patriotism at Louisiana and New Jersey Aves. and D St. NW on Saturday, April 6 for a moving program. This annual walk includes a performance from the Nen Daiko drummers of VA at 9:30 a.m. and then a program beginning at 10 a.m. This historical and cultural event raises awareness about the Japanese American experience during World War II. The Japanese Stone Lantern Lighting Ceremony is a formal ceremonial lighting of the Japanese Stone Lantern near the cherry blossom trees on the Tidal Basin in Washington, DC. The lantern was carved more than 360 years ago and was first lit in 1651 to honor the Third Shogun of the Tokugawa period. It was given to the City of Washington as a gift in 1954 and symbolizes friendship and peace between Japan and the United States. The lantern is lit only once each year as an annual tradition during the National Cherry Blossom Festival. The ceremony is free and open to the public. Find it at the north side of the Tidal Basin, at the west end of Kutz Bridge at Independence Avenue and 17th Street, SW Washington DC. The 2019 date is to be determined. On April 13, the big event is the National Cherry Blossom Festival Parade presented by Events DC. It's one of the biggest spectator events in Washington, and it includes marching bands, floats, dance troupes, giant helium balloons and special celebrity guests. The parade runs along Constitution Avenue from 7th to 17th Streets, NW. It begins at 10 a.m. and ends at noon. The parade is free, but grandstand tickets can be purchased here. See Parade Photos. After the parade on Saturday, April 13, head to Sakura Matsuri - Japanese Street Festival, which is the self-proclaimed largest one-day Japanese cultural celebration in the U.S. The fest includes arts, crafts, demonstrations, live entertainment, and food and drink with chef demos at a Culinary Arts Pavilion. Browse Japanese snacks, sample sake, or head to Kirin Ichiban beer serving areas. There will be four stages of performances and demonstrations as well. Tickets are $10 to $50, buy them here. The festival runs from 10:30 a.m. to 6 p.m. The annual Cherry Blossom Festival closing event merges the arts, health, environment, and recreation, with activities including canoeing, kayaking, bird watching, bike riding, and nature walks. The 2019 • festival is happening on Saturday, April 14 and usually runs from 1 to 5 p.m. Head to Anacostia Park, at 1900 Anacostia Drive, SE. Planning to visit from out of town? See a complete Washington DC Travel Planning Guide with tips on the best time to visit, how long to stay, where to stay, what to do, how to get around the region and more.